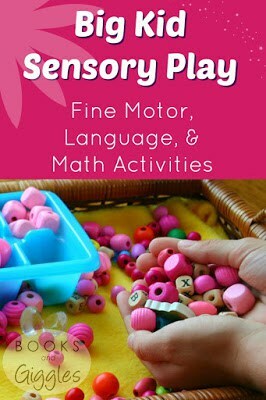 Discover Big Kid Sensory Play! Even big kids can enjoy sensory play. Children of all ages love digging their hands into a tray full of beads. They adore the feeling of the beads, and the sounds they make rattling together. They like the imaginative possibilities beads hold. an amazing bucket of beautiful wooden beads for their 4th birthday. 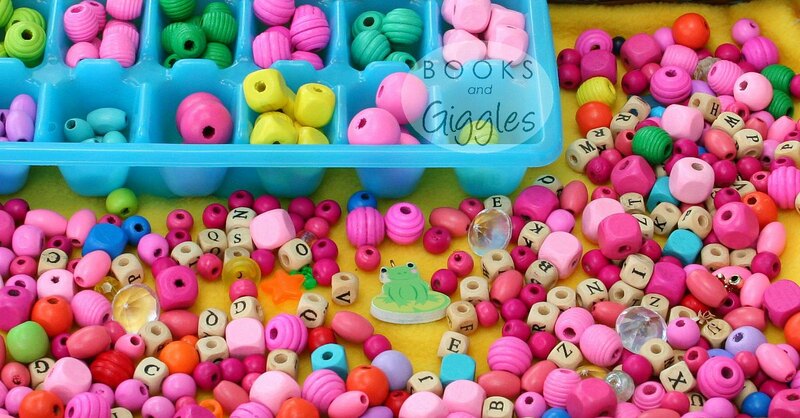 It was similar to this Big Bead Box , except it also had letter beads. For a long time, we just used them for stringing necklaces and bracelets. I didn’t want the beads to spill and make a mess, so I kept them on a high shelf. Yes, my kids really are growing. The other day they took the beads down from the high shelf, and started playing with them. of using beads for sensory play. interesting, we added an ice cube tray and a small bowl for sorting into. their hands in and play! 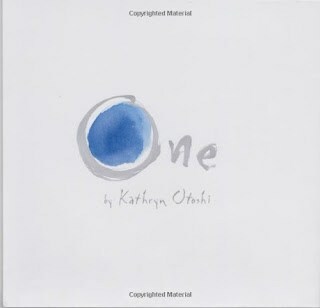 I had been thinking of this as sensory play for preschoolers. how a new presentation of an old toy will spark kids’ imagination. 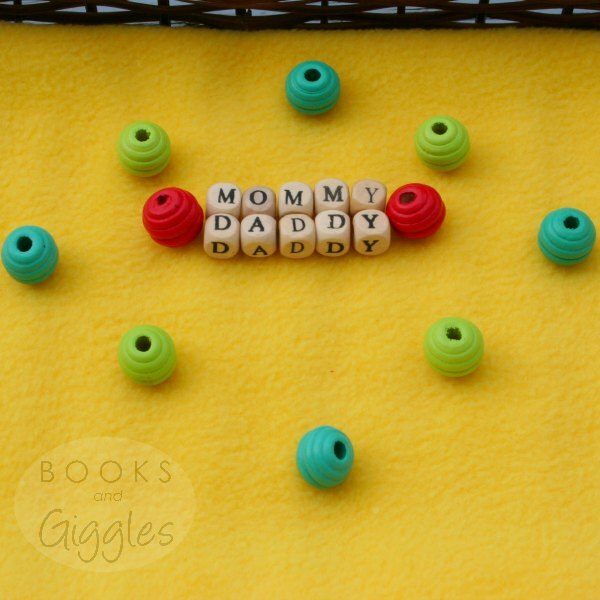 beads to form simple words. 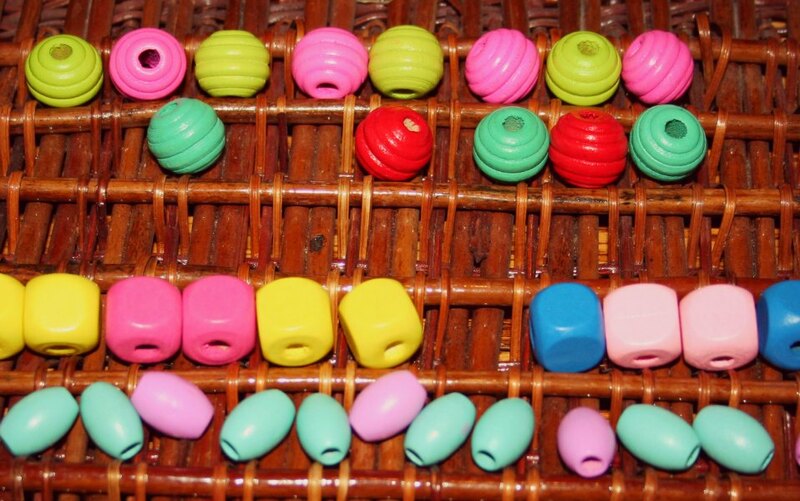 Yes, telling a story with beads might sound crazy…bear with me. own using beads as characters. how many beads there are. Then count them. by color, shape, and texture. beads into a repeating pattern. 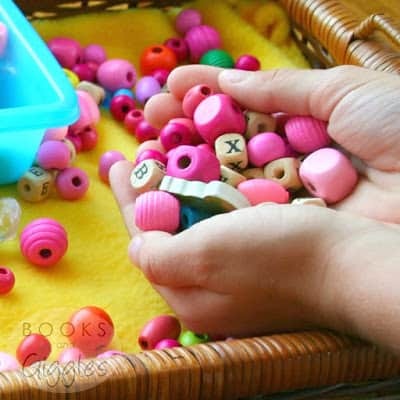 to make a “stopper” for the other beads. Beads are fun because they allow open-ended, imaginative activities. 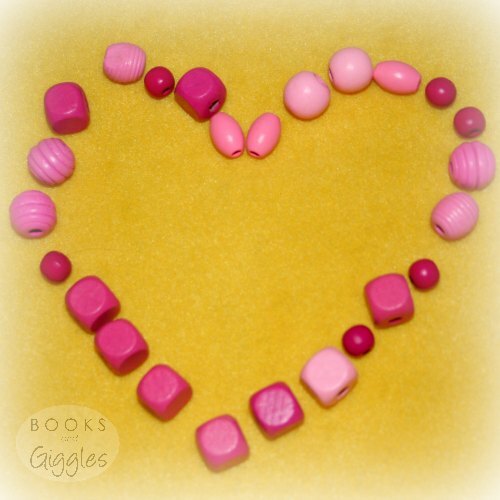 I’d love to hear about the creative (and not so creative, but fun) ways you and your kids play with beads. Feel free to leave a comment below, or strike up a conversation on the Books and Giggles Facebook page. Don’t be shy! Great ideas! 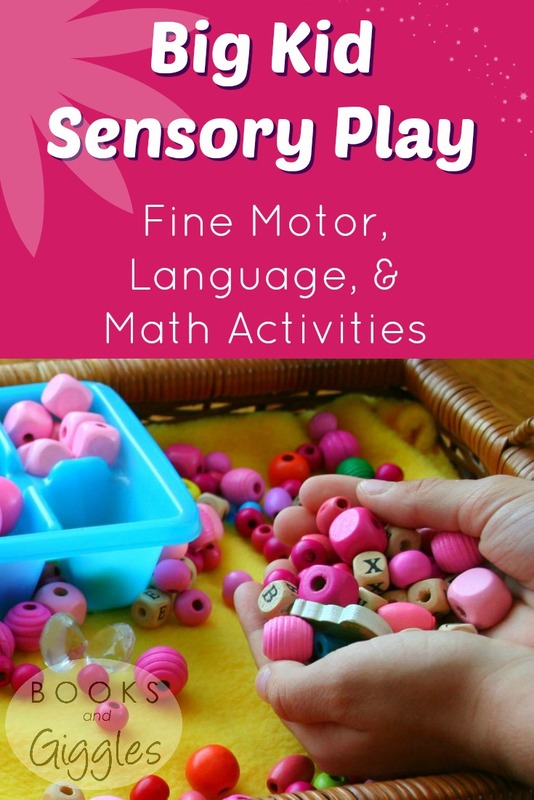 Sensory play is a great way to hone attention skills by having children notice different things about the objects, and no one is ever too old for that! I still like running my hands through the bins at the Lego store. 🙂 I'll have to get the beads down for my girls. We have a huge bin of beads, and sorting through them is one of the great joys of my daughter M. She's 9! Thanks for linking with #TwinklyTuesday. Great idea! My daughter picked out some new beads the other day and one set was difficult for her to string. We will try these ideas. I hope it helps. Beads are so much fun for kids. Another trick that we've done is use elastic beading thread. It is stiff enough that it doesn't even need a needle.